R&D specialized in Product Design. At least a Diploma,/Bachelor’s Degree in Engineering (Electrical/Electronic) or equivalent. 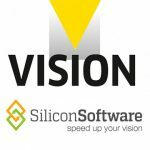 Preferably Senior Executives specializing in machine vision/ system integration. Good understanding in industrial cameras,lens,lighting and imaging techniques. Familiar with factory automation environment and semiconductor industry. 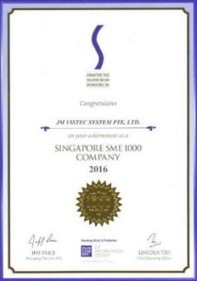 Please send your resume & cover letter to hr@jm-vistec.com. Only shortlisted candidates will be notified. Candidate must possess at least Diploma/Advanced/Higher/Graduate Diploma, Bachelor’s Degree/Post Graduate Diploma/Professional Degree in Engineering (Electrical/Electronic), Computer Science/Information Technology or equivalent. 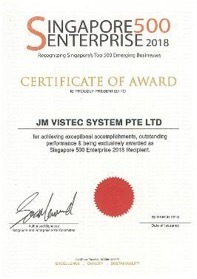 Preferably candidate who specialized in IT/Computer – Network/System/Database Admin or equivalent. 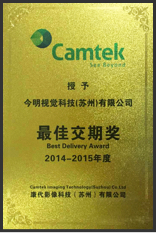 JM Vistec System is honored to receive the best delivery award from our long-term partner, Camtek Imaging Technology. Our greatest appreciation goes out to all supporting partners & associates who made this possible. As a supplier & solutions provider, we put in our utmost effort to ensure timely delivery & customer satisfaction. 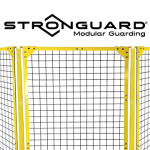 This goes in line with our values: Integrity, Reliability & Quality.